Can you tell she's got her eye on me? 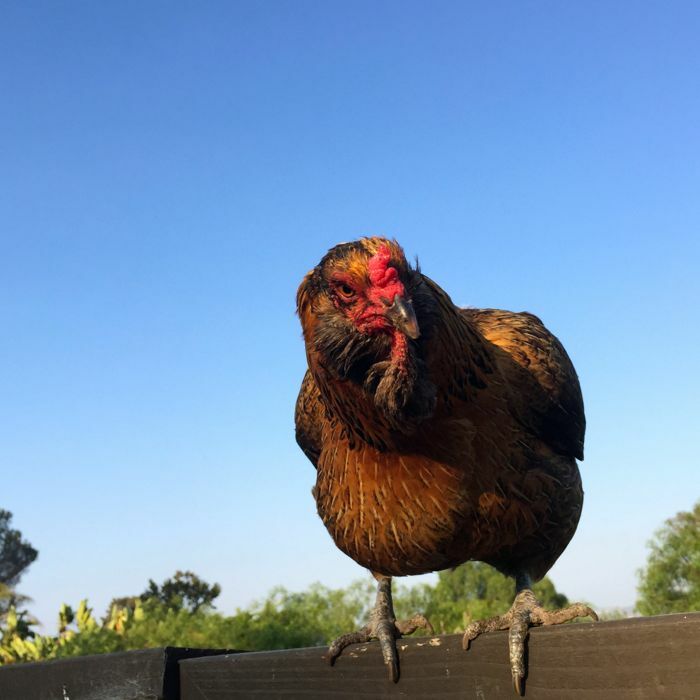 A chicken's gaze can touch that core spot in our collective unconscious... the one that informs our decision to run from big cats, to be wary of shadows, something above, circling over our heads. 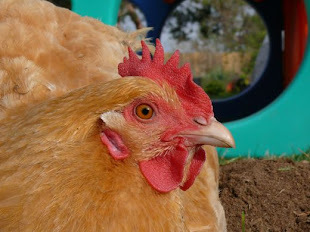 Some of my chickens can do very good impressions of their predecessors, those prehistoric terrible lizards. Fortunately, this is Mako, and she is my darling, my sit in your lap and coo hen. I love you, Mako. Would you like some treats? 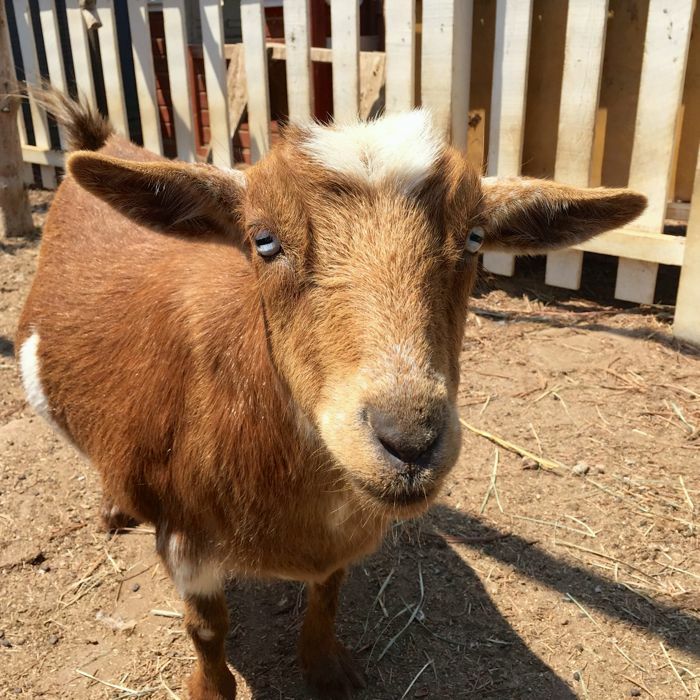 Everyone on our little farm by the sea loves their treats, and special attention. 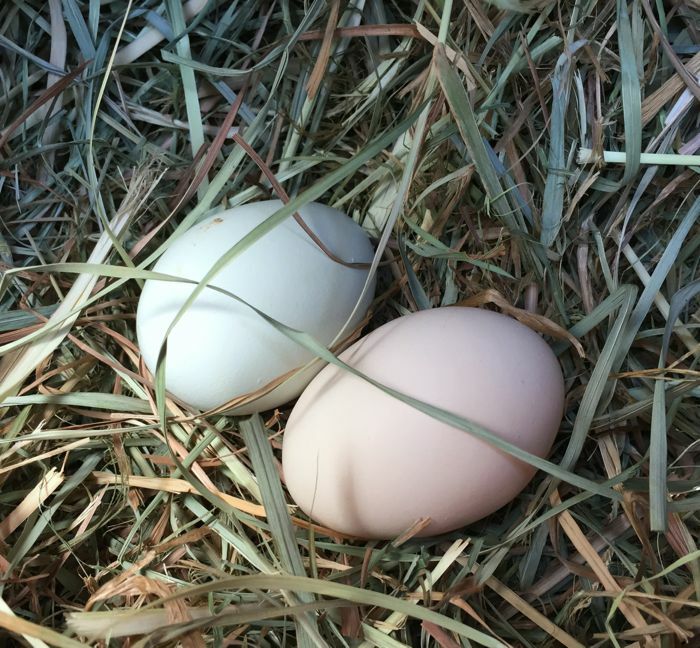 And in return we get fresh eggs, mulch and compost, amusing anecdotes, nuzzles and affection, and those intangible moments that make life worthwhile, a pleasure. Some of the hens have gone back to their old habit of laying in the goat's hay feeder. They also lay beneath an old robot tower, in a rabbit hutch, and now, in their cottage, too. There is an egg hunt everyday. Ada Lovelace Goat is well, and so is her companion, Tasha Tudor Goat. All twelve hens have declared this an ideal summer. I think they appreciate the mild weather, the regular supply of watermelon rinds, corn cobs, and other tasty morsels, like those Grubblies we've been providing them. Another cache! 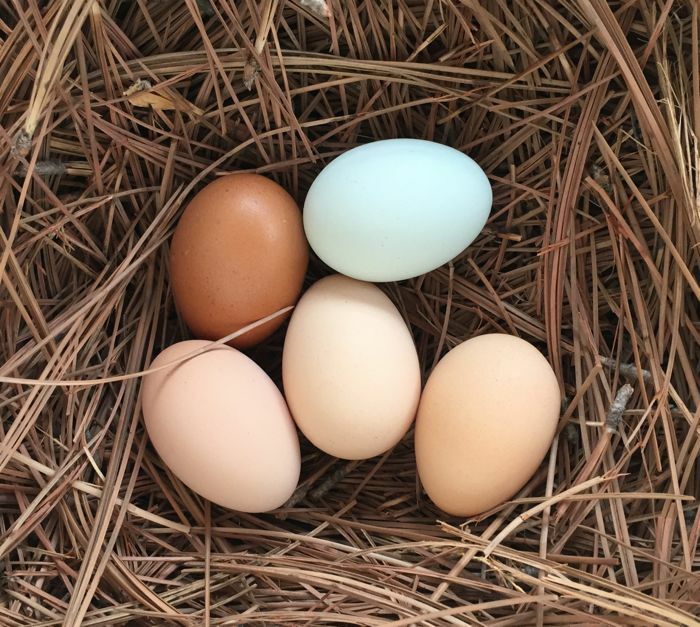 These pretty eggs were waiting to be discovered in the pine needle nest they've made in their cottage. I have a confession to make. 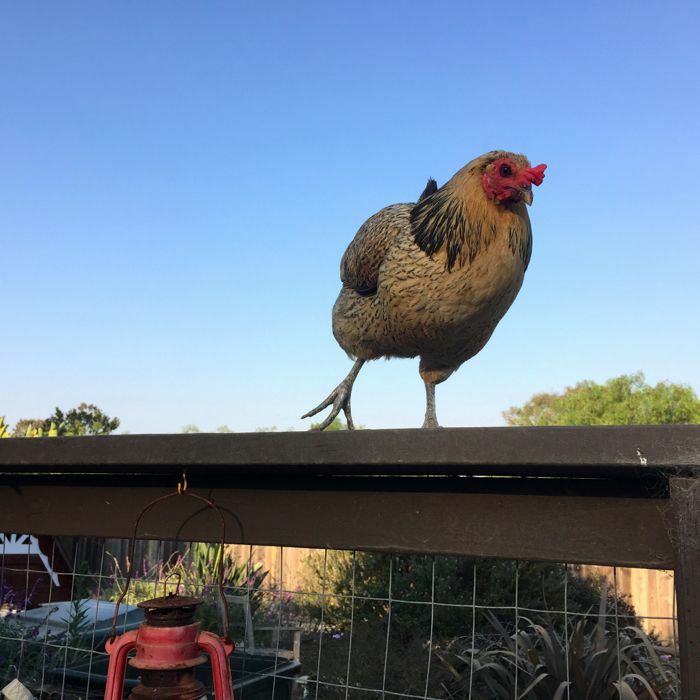 This hen does not have a name. She looks so much like her sister, and she's too skittish to sit still long enough to become a friend. We simply have not become so well acquainted. I never like to presume to impose myself on shy or skittish hens. I think, also, that twelve hens is a lot. Not too many for their comfort, for their safety, or well-being, but perhaps too many for feeling connected with each of them, for an intimate dynamic. To be kept as pets, coddled and familiar, I think 3 to 6 hens is ideal. The relationships are easier to manage, the hens remain tamer, and we all become better acquainted. But still... I think I will settle on a name for her, and her sister. Oops! 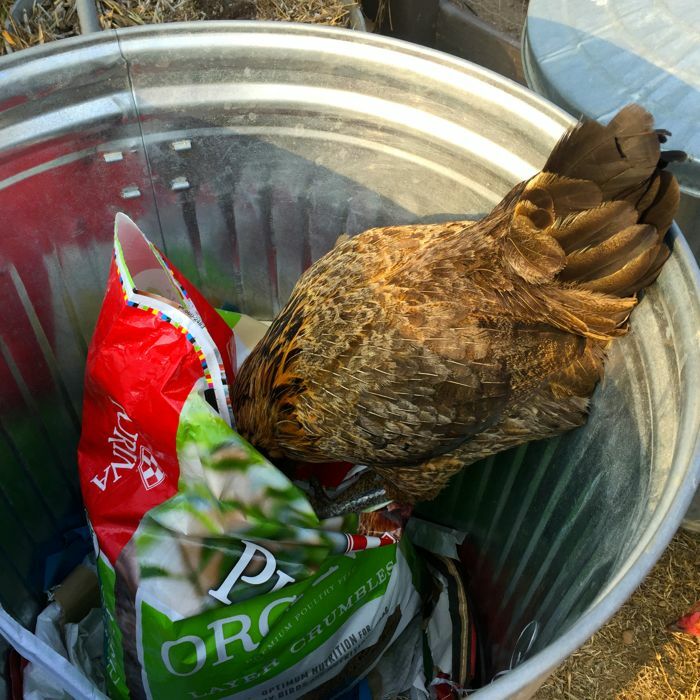 When I am distracted, thinking up chicken names, or fending off pecks from Pippi and Pepper, Mako takes matters into her own beak, and helps herself to dinner. She and I are very well acquainted. Dear, sweet, hungry Mako. You have certainly captured a certain something about Mako that makes me respect her even as I laugh. 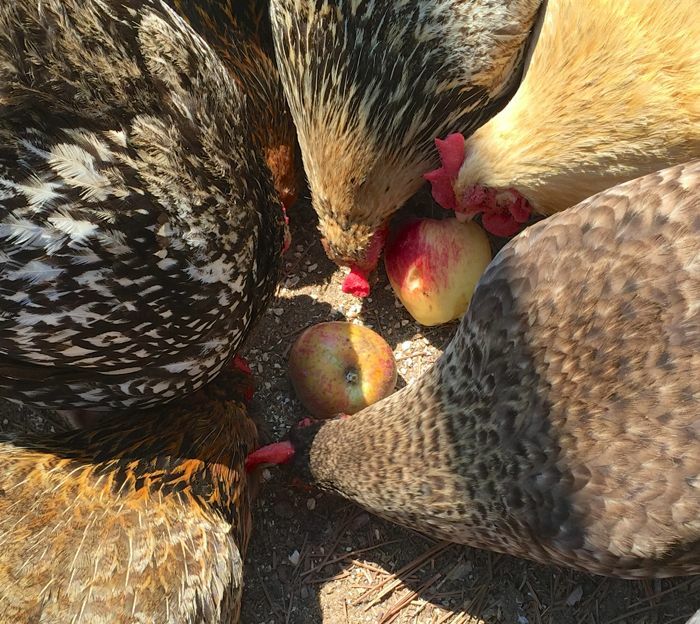 Thank you for sharing your chickens!